Jiu-jitsu.News: Ukrainian sportsmen are ready for the “Pan Jiu-Jitsu IBJJF Championship 2018”! Ukrainian sportsmen are ready for the “Pan Jiu-Jitsu IBJJF Championship 2018”! Recently the registration for the championship “Pan Jiu-Jitsu IBJJF Championship 2018” has already closed. This competition will be held from March 7 to 12 in Los Angeles. A lot of highly qualified sportsmen will compete at the championship and Ukrainian fighters from the SC “Borets” / ZR Team – Yaroslav Blazhko, Roman Nepota and Serhii Krasovskyi are also among them. According to the athletes, the upcoming championship will be the most difficult and interesting in their competitive practice. 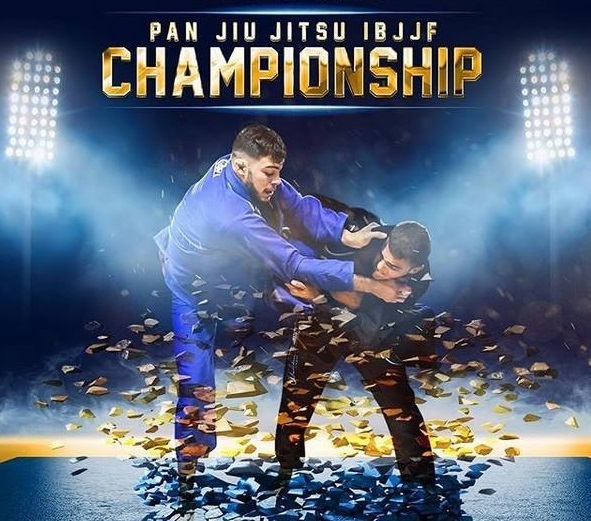 It is a well-known fact that the “Pan Jiu-Jitsu IBJJF Championship” is one of the most important tournaments for all BJJ sportsmen after the “Worlds IBJJF championship”. In general, Yaroslav Blazhko has 52 opponents in his weight division, Roman Nepota has 51 opponents and Serhii Krasovskyi will compete with 9 athletes in his category. And quite tellingly, there are many Brazilian fighters at the championship. Even at the “European IBJJF Jiu-Jitsu Championship” in Lisbon and the “Abu Dhabi World Professional Jiu-Jitsu Championship” in Abu Dhabi there were less Brazilian sportsmen! It seems, that this upcoming event will be extremely hot!